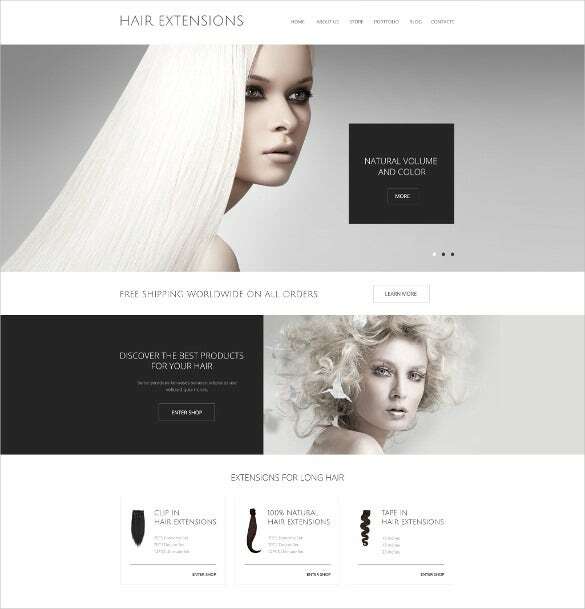 Experience a world of responsive design with these custom download ready hair salon website templates made to woo your customer. 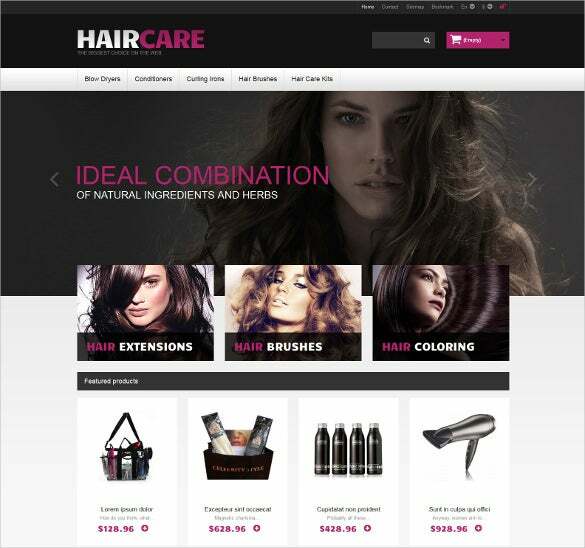 Showcase all your products in large sliders with a chic background.You may also check Fantastic Website Themes For Spa. 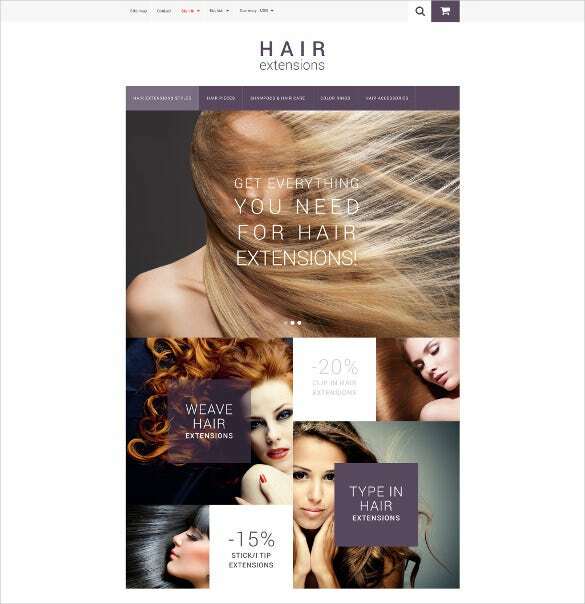 If you want large banners to do most of the talking for your salon site, this is the theme for you. 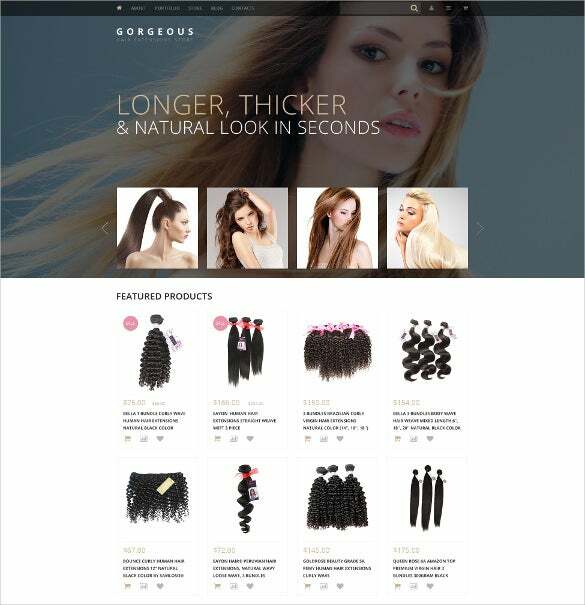 It opens with a huge slider banner and the site follows a winning black & white combo. 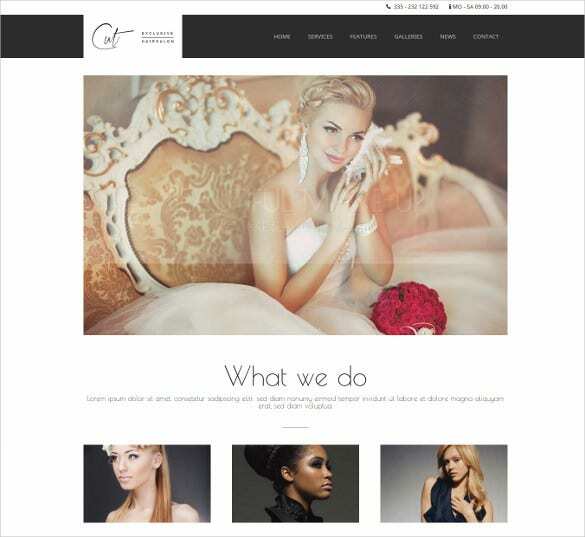 This is a 100 percent responsive theme with fully editable facility and it also offers 7-15 high resolution stock photos. 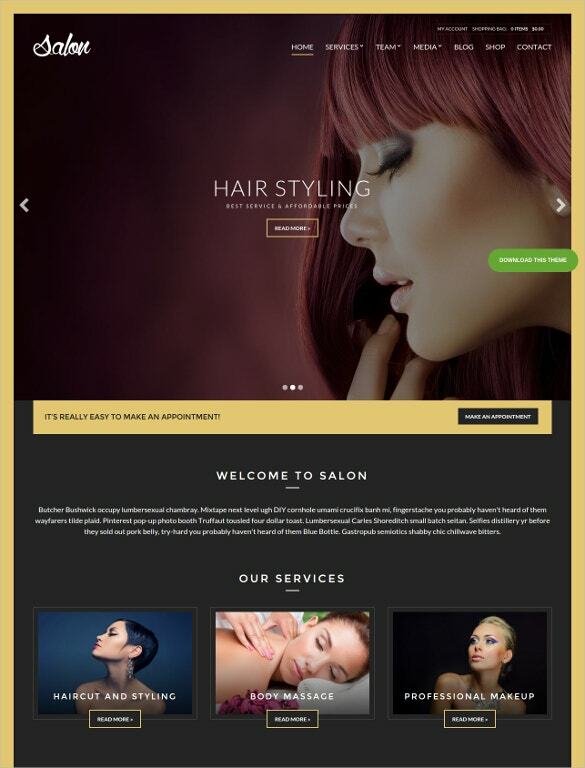 This is a very practical salon website theme that starts with a grand slider banner followed by brief on all your different services. 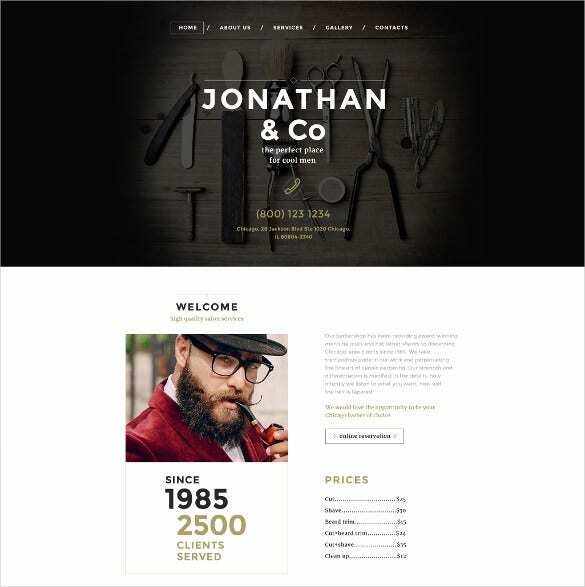 The space below can be used for your welcome message and promotions. 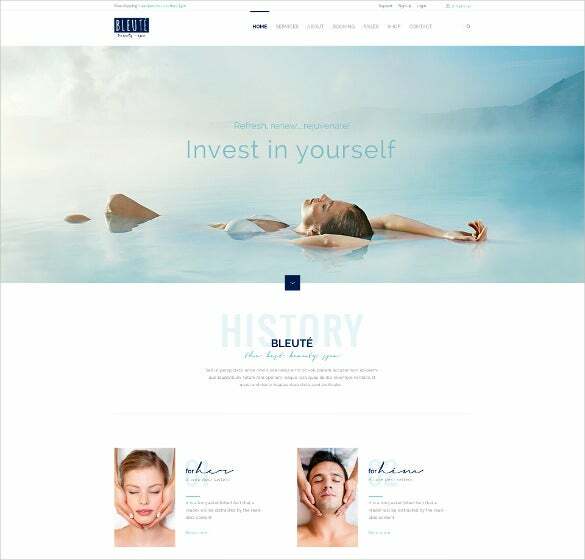 You are getting amazing in-built plugins here and the theme is great for beauty, spa, health care, massage, makeup, physiotherapy, wellness, skincare & yoga websites. 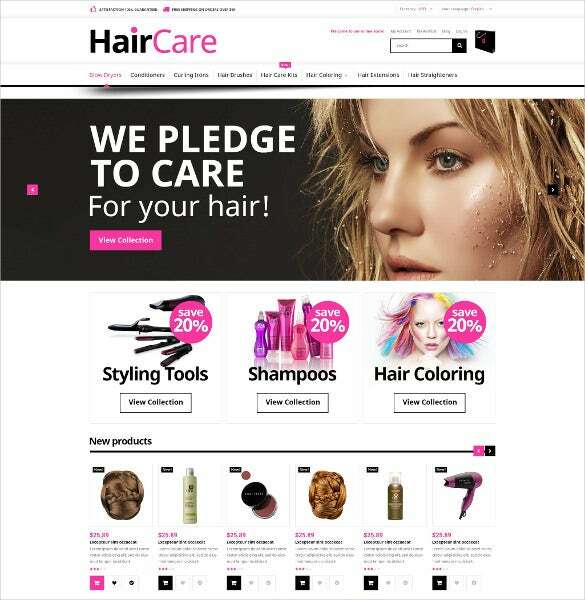 It’s a very neat and clean site theme and would be great if you are often launching special promotions on your salon website. 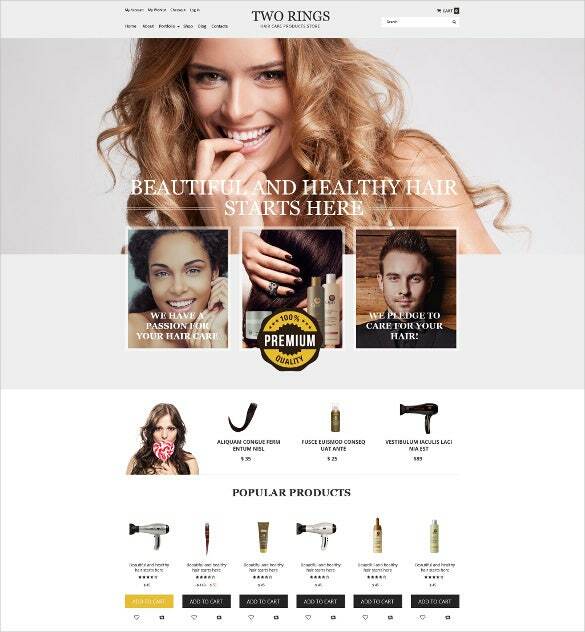 Big banners at the top assure optimum advertisement while the space below would be excellent for your promotional offers. 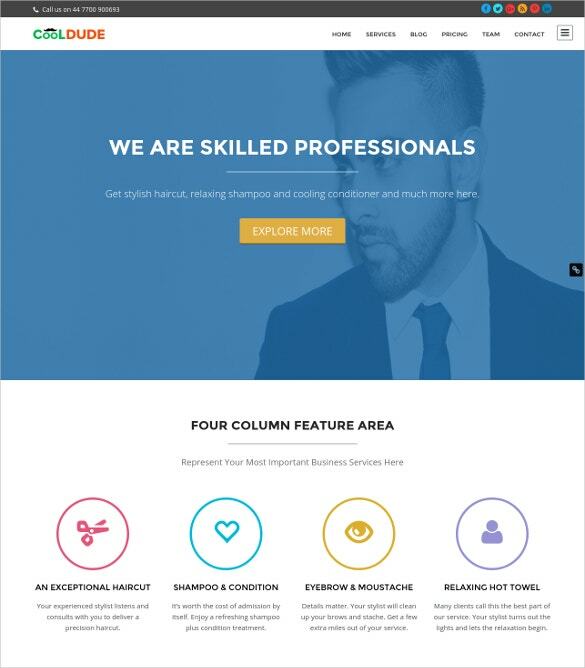 The SEO optimized translation-ready theme assures responsive design & more than 650 Google Fonts. 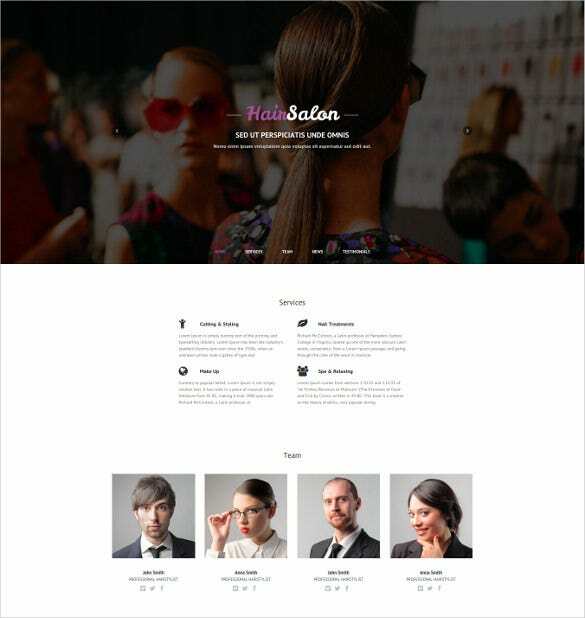 If you are planning to introduce your brilliant team right on your salon website homepage, this theme would be excellent for you. 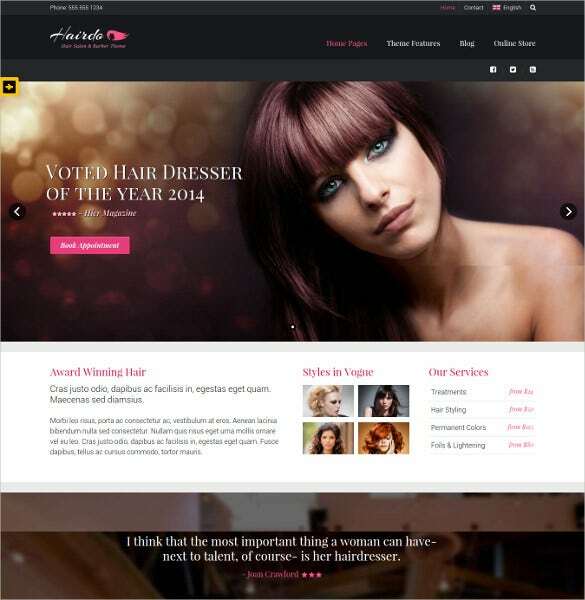 It also offers space for advertisement banner and a sneak peak on your services. 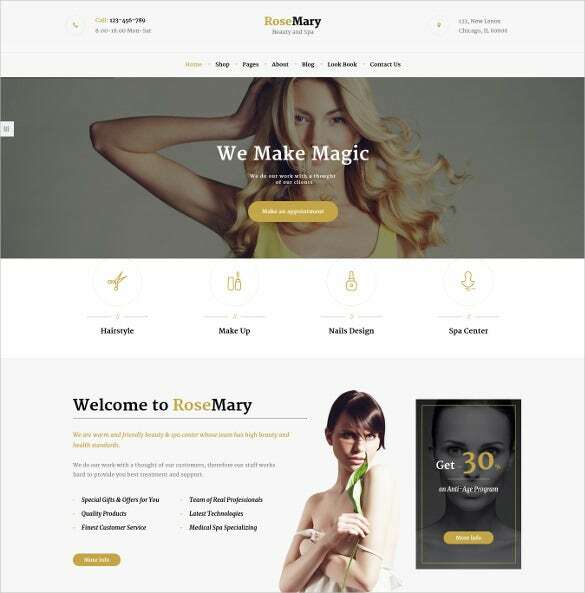 The theme flaunts a SEO optimized responsive design and offers more than 600 Google Fonts. 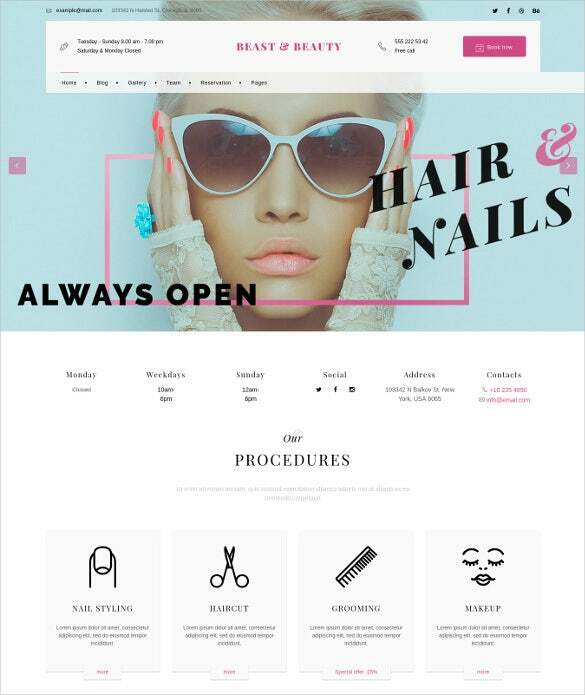 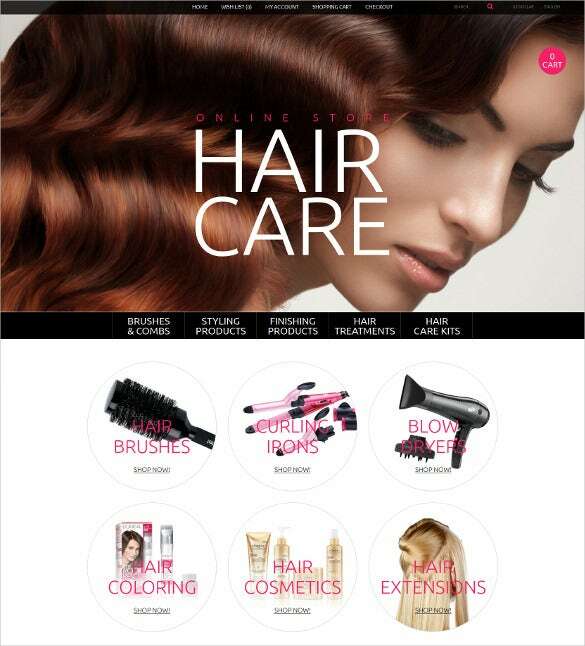 With all the salon tools right at the fore, this theme is the perfect template for a hair salon website. 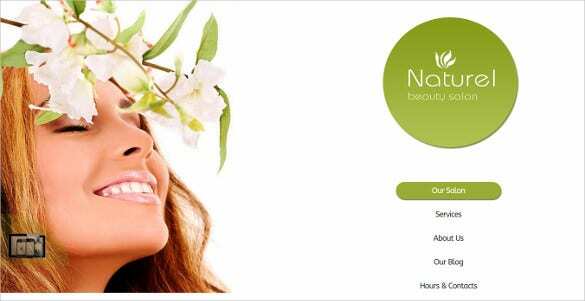 The space below can be used for your photograph and bio. 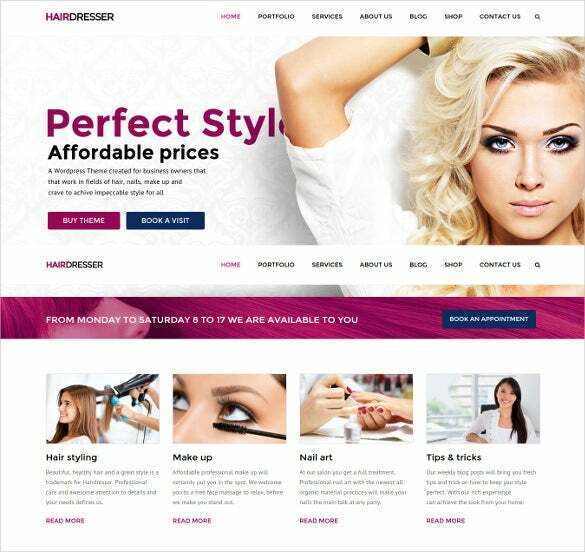 It’s a full responsive site which offers stick-to-top menu, Google Map, 7-15 high resolution stock photos and 24/7 guaranteed support. 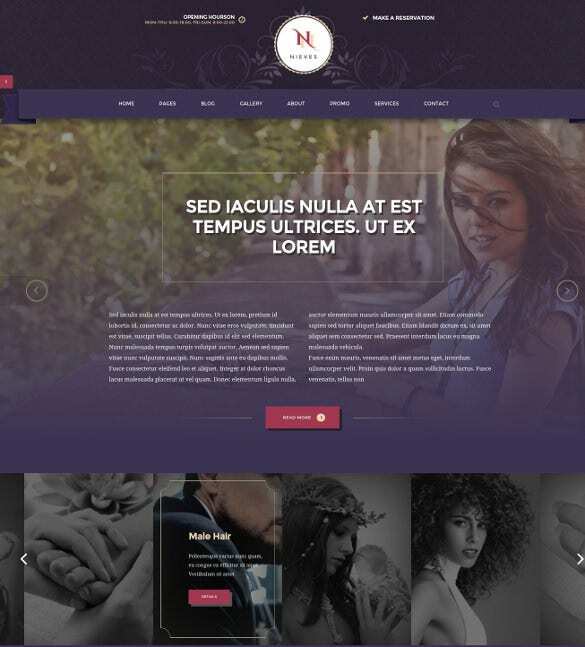 These templates are designed with Valid Semantic Code which enables great quicker page load speed, SEO ratings and makes your site more flexible.They also have cross browser compatibility which means there is no requirement of testing the site from each major browser and they are equally compatible with all. 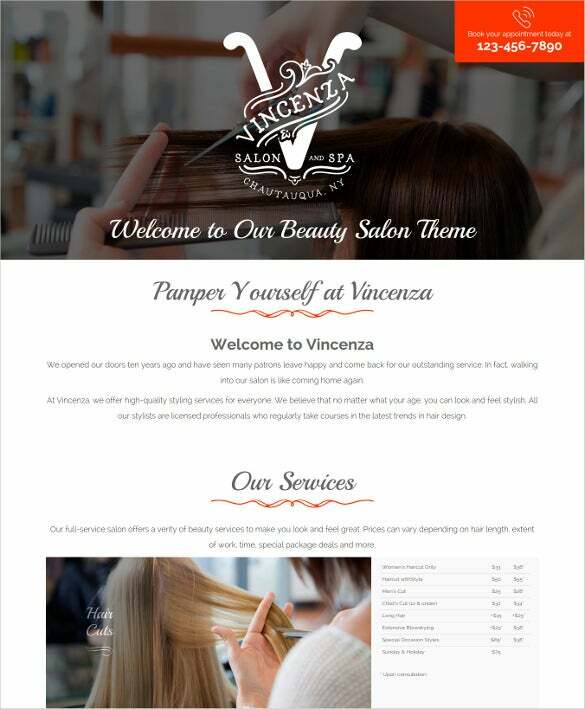 The lazy load effect feature helps the page load faster as images lying exterior to viewport loads after the user scrolls down to them.